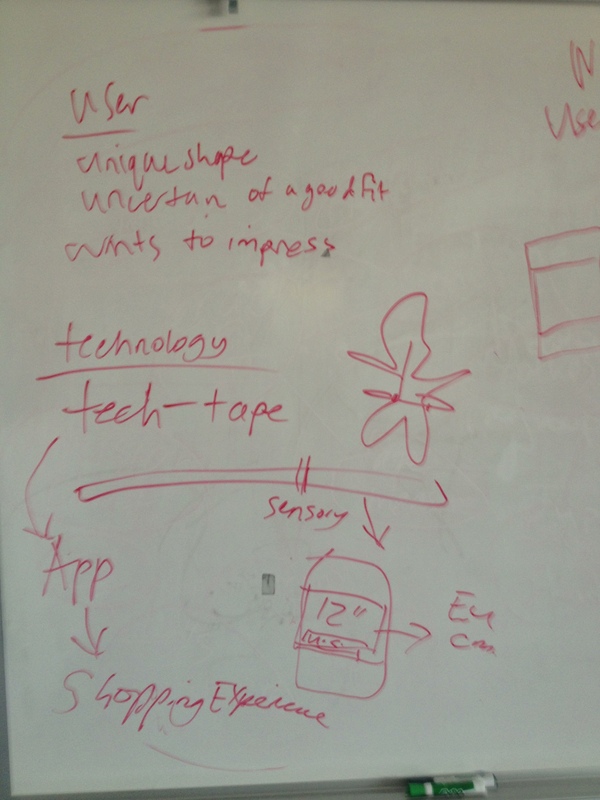 Yesterday, my Interactive Design teacher, Erik Fadiman, organized a whiteboarding learning session for a little extra practice before graduation and more importantly job interview time. 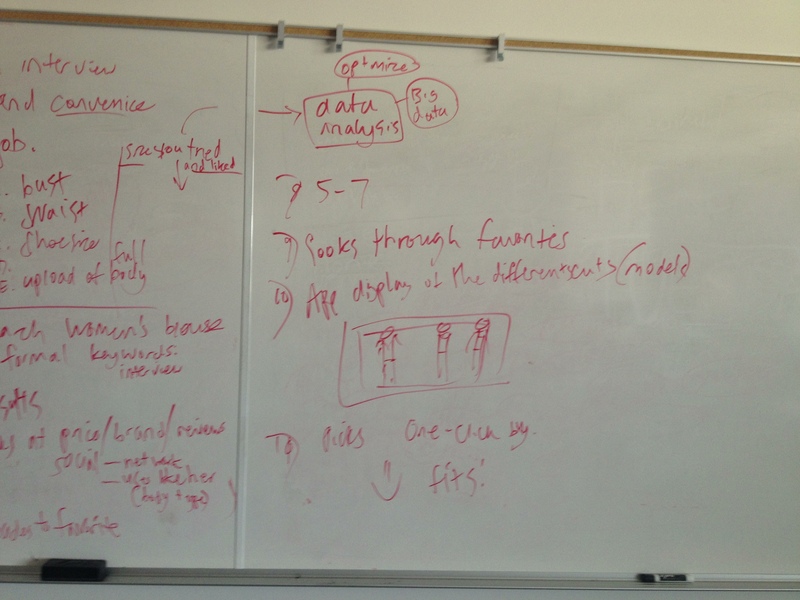 Whiteboarding is when people gather around a whiteboard and do some group problem-solving. 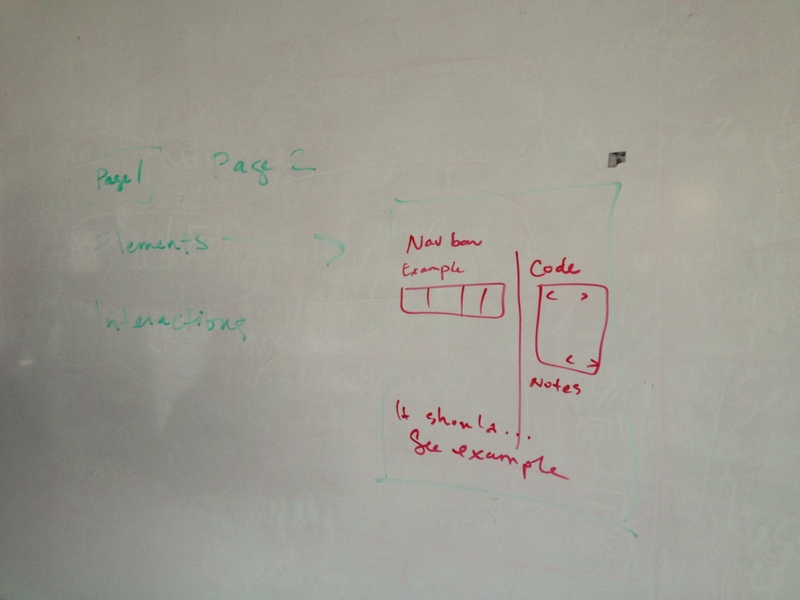 The whiteboarding interview is common for software engineers to show their interviewer how they would solve a problem. This exercise is also done by user experience interviewers. 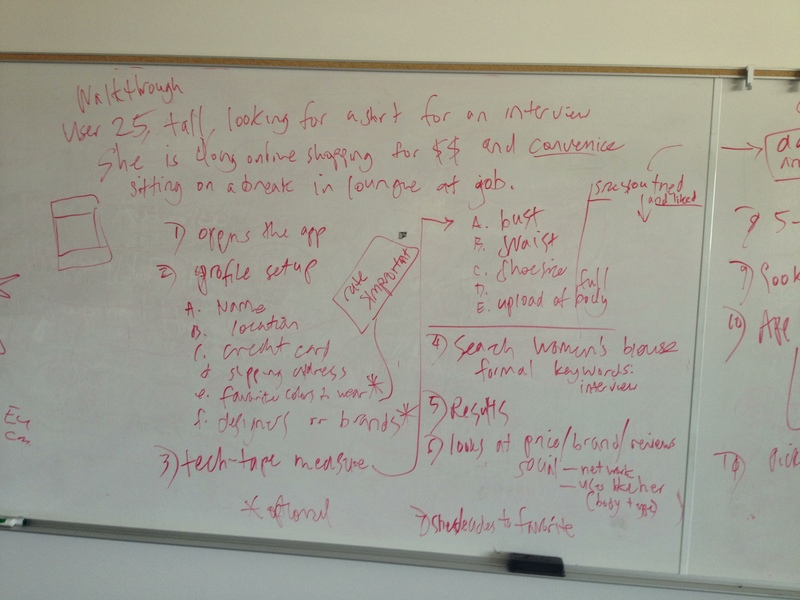 Rebecca Shaprio, UX designer at Amazon and Seattle Central Creative Academy Alum, ran me through a Whiteboarding exercise to help me familiarize myself with the open-ended process of this specific type of interview. Each job and interviewer has special goals in mind, so each whiteboarding interview will be different. 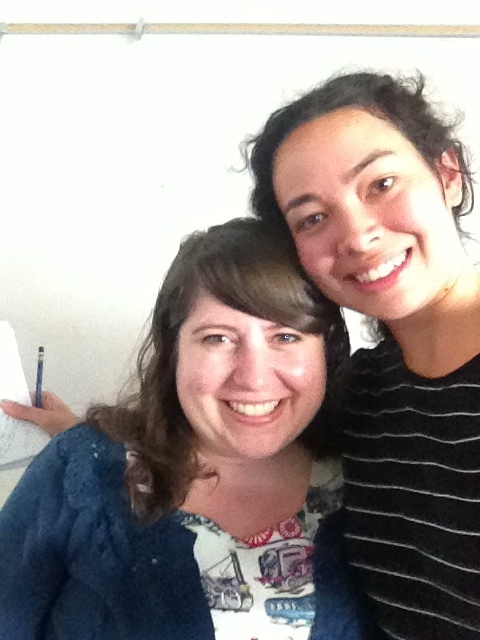 Rebecca told me that the primary goal is to witness how the interviewee thinks. This was my first whiteboarding session. She told me that for this task, just to write and talk out my thinking process. She stated the prompt: Design Technology for the Goal, Buy Clothes Online that Will Fit. I had no time to prepare. Interviewers like to see how you think on the fly. I asked about restraints, budget, time, current technology and she said there are none. A free for all. 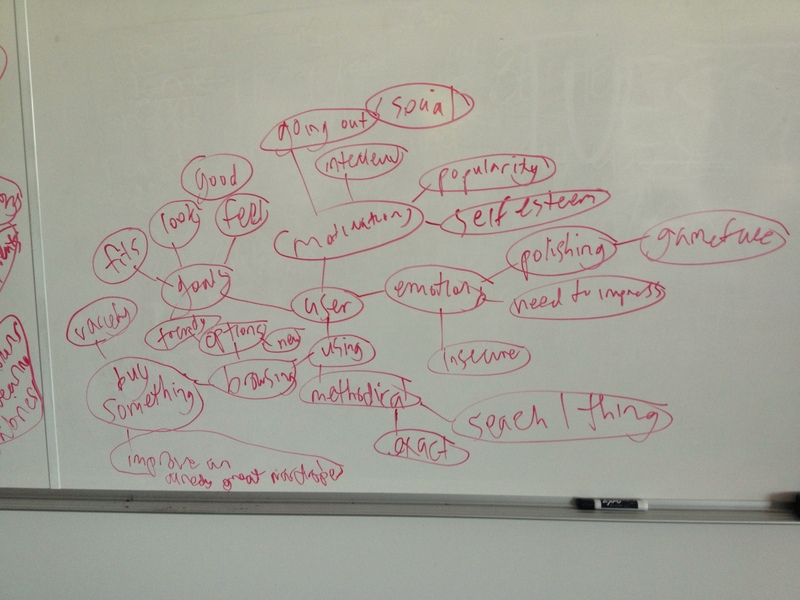 I started to brainstorm using the mind map method. I like this method because you can see hierarchy and context. It’s easy to add connecting ideas. The seed idea is “clothes that fit.” Rebecca prompted me to think of the users and to think of how to use technology. Next, Rebecca asked “Who is the user?” and how are they feeling when using this technology. I thought about the different types of shoppers as well as the uncertainty. Rebecca asked me to write out a walk-through of the technology. First, I summed up what I established about my user, she’s a unique shape, uncertain of a good fit, but wants to impress. The technology: Tech-tape, a measuring tape that has no measurements on it. You pinch the places where the tape meets around you and that input is sent via bluetooth to the phone where the app keeps that information in your profile. I supported this by saying how I worked in a dry cleaning store and it’s kind of amazing that not many people can work a regular tape measure with ease and confidence. The device has a companion app that is a easy to use shopping experience. The user (based on myself mostly so I didn’t have to invent anyone, but also because this is a problem I occasionally think about) is 25, tall, looking for a shirt for a job interview. She is doing her shopping online to save money and convenience. She’s sitting, at a break, at a different job. 6. looks at price, brand, reviews, social– networks like facebook and also the “users like you” feature which finds users with similar body types. 7. Add item to favorite. 8. Repeat steps 5-7 until you have top 3 for comparison. 11. User decides on one and clicks it and the one-click purchase button (which I love about Amazon.com’s shopping experience) and the user receives it five days later and it fits. And she’s happy. After finishing the last step of my walkthrough, we sat down and talked more about the experience envisioned. She asked “How does this technology work in different contexts?” I told her that because it’s a smart phone app, it can go anywhere. I think that for clothes shopping, context is less of an issue than other shopping experiences like buying some expensive piece of equipment like a desktop computer. She asked about accessibility, which I addressed by saying that it will be easy to use because of the tech-tape’s simple interface. She asked more about disability where I explained how the tech-tape is all touch activated, so this is really a great app for blind people, no measurements to read. Also, the favorite color to wear option on the profile can be rated according to importance so the blind user can browse with confidence that she will never accidentally purchase an orange sweater when she only likes wearing blue ones. Feedback After the exercise was completed, Rebecca said that I did pretty good. She liked that I created a device that helps users breeze through a task that might stop them because measuring can be mentally tasking. She liked the color matching feature. She emphasized the importance of thinking big and exploring new ways to meet users’ needs. Stretch your ideas because in User Experience, you’re designing for the future. I told her that I expected the exercise to include some coding. And she said that in her interview at Amazon, there was a separate interviewer to test her on some basic html. I asked Rebecca to run me through a quick one where she told me to program the navigation for the app. 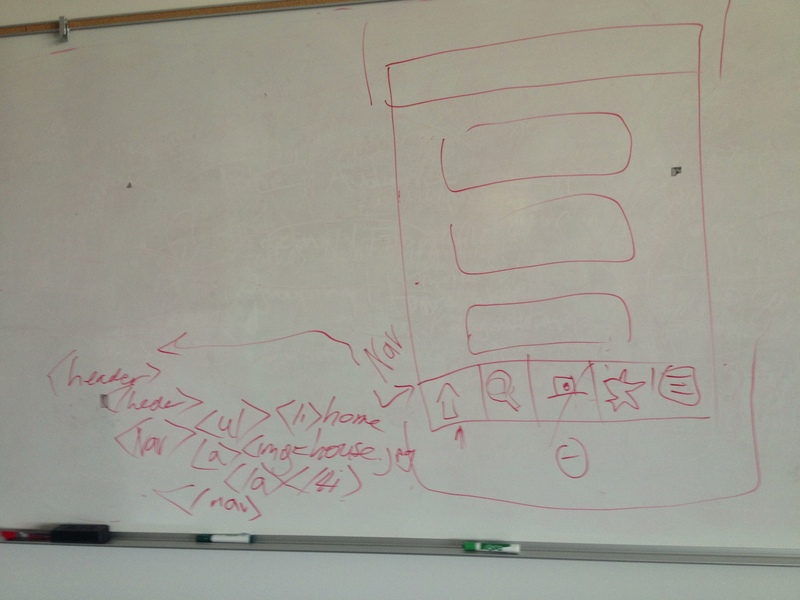 So I drew a spare wireframe and next to the nav, I wrote out some tags, ul, li, img, and a. Good practice. It was weird to write that stuff out by hand on a whiteboard. It felt so unconnected and informal. I’d never have to run that code into a validator. I asked Rebecca more about her job and what she does when she mentioned documentation. I am in love with the idea of documentation (obviously I like taking notes on things I do) and I wanted to hear about her process. She says it’s different for everyone and some projects require different methods. She was telling me about how she is working with some people in China so her favorite documentation method is to make simple html websites with her notes and screenshots of her Photoshop comp and actual code or links to examples of code that show the interaction. She told me that good documentation is about showing devs how easy it is to make an interaction you want to see happen. Sometimes developers code something a certain way because it’s easy for them or they think something is cool and it’s your job as a user experience designer to make it easy for developers to understand and use your ideas. Rebecca few this diagram of her documentation setup. Notice the excellent penmanship. In conclusion, this whole whiteboarding adventure took about an hour. It was educational and exciting, like witnessing the sprouting of a seed. It felt like a thing I should do as part of my professional career. I really enjoyed the process. Thank you to Rebecca Shapiro for taking time out of her Saturday morning and Erik Fadiman for arranging it all. 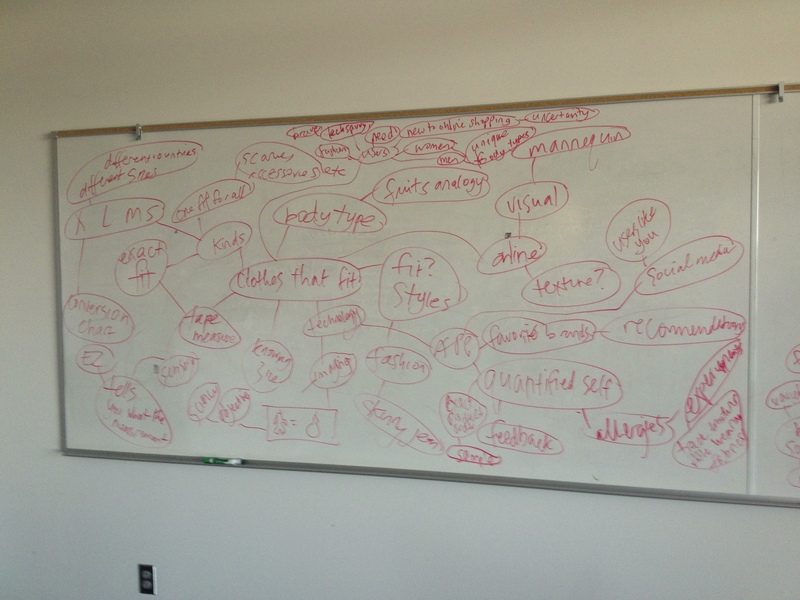 I’m glad I could offer a little insight into the mysterious ways of whiteboarding interviews.